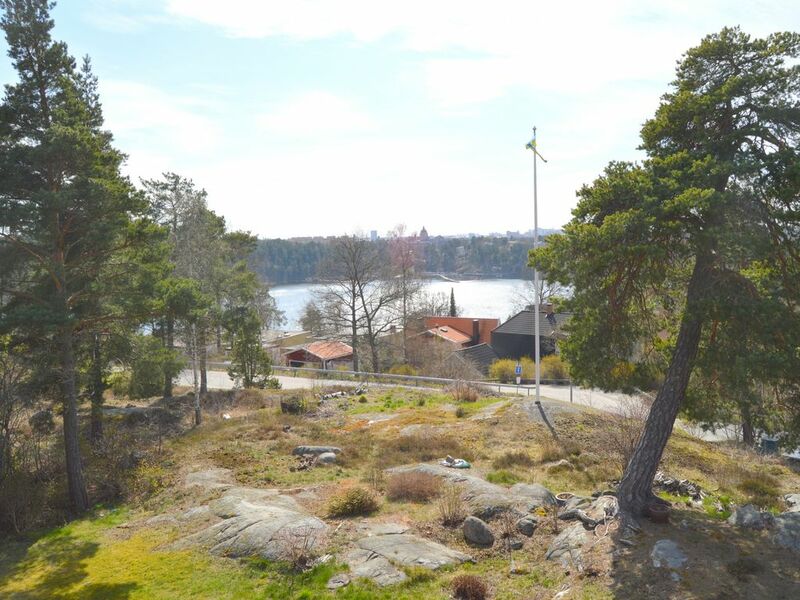 Located just north of Stockholm, in the beautiful area of Stocksund, this large and typical 1950's brick house overlooks the inner archipelago bay of Värtan. The south-facing house offers sun on the large terrace from early morning to late evening, as it is well-situated on a height called 'Söderskogen'. Close-by there is a small local beach, the beautiful castle-like tower 'Cedergrenska tornet' and promenade paths along the water are just a few steps away. Central Stockholm is easily reached: 7 minutes by car, 6 minutes with the local train (a 8 minute walk to the station), or by bicycle, a 20 minute enjoyable ride. Included: The house is rented fully-furnished and is well-equipped with all bed linen, kitchenware (kitchen completely refurbished 2016), detergents, etc. Usage of sheets and towels are also included, as is water, electricity and fast Wi-Fi internet connection (via fibre). There is also two fireplaces to be enjoyed with plenty of firewood available. 4 Bedrooms which sleep 8 persons, 2 Bathrooms and 2 separate, smaller WC's. Spacious salon and dining (55m2) with fireplace. Fully equipped big kitchen (22 m2) with a more informal kitchen table. 225 + 95 m2 house, south facing, built 1950. 1500 m2 garden with apple, plum and cherry trees. Lawn to play on and a large elevated 30 m2 red stone terrace for barbecue, outside eating and sunbathing. Full privacy. Outside dining table with 6 chairs, Sun chairs and gas barbecue. Kitchen: Completely refurbished 2016. Large refrigerator and freezer, dish washer, Induction hob. 2 ovens: 1st with Steam and "Sous vide" functions, 2nd normal + microwave oven, Nespresso machine and a conventional coffe brewer, kitchen island seating 4. Salon: Sea view, large sofa group facing fireplace with and direct exit to south facing terrace. Tv/playroom: Large attic style open space with a sea view balcony and a French balcony facing the tower of Cedergrenska. Wii and PS4. Room 4: Sea view large room with direct access to garden. Ping-Pong table. Double bed, 160*200 cm. Suitability: Children are welcome, non smoking only, wheelchair inaccessible. The owners is a family of four, enjoying life and loving the house. The light indoors, the sunny situation on the hill, the views and the closeness to Stockholm made us love the house from the very beginning. Our son, 5 at the time, "chose" the house for us, because of the large apple tree in the front. Stocksund is located 6 km north of Stockholm, just by the sea, the inner archipelago area of the Baltic Sea, Stora Vartan. It's peaceful and beautiful with many sea side promenades, beaches, and other nice sights to see.